When we pray we are communicating with The Lord, the One who loves us. We must come to Him knowing that our words are heard and we expect He will communicate with us also. When you go to the bank to withdraw money (that you know that you have), do you say a few words at the door and cross your fingers before you approach the teller? Of course not! You boldly walk up to the counter and present your request with full expectation of receiving what you ask. 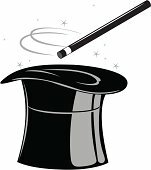 If we come before The Lord in prayer and we “hope” someone is listening but we only vaguely believe that God exists, then we are no different than a child pretending to be a magician, who says “Abracadabra” waving a magic wand, expecting a rabbit to come out of his hat! ← Praise is what I do!